A team based in Spain and Italy last week (July 14) published the first comprehensive analysis of the genomes of several melon varieties in Molecular Biology and Evolution. Searching for genetic links to flavor, size, water usage, and other traits important for selective breeding of melons, the researchers identified 4.3 million single nucleotide polymorphisms (SNPs), plus other genetic variants linked to these traits, including duplications and mobile elements. 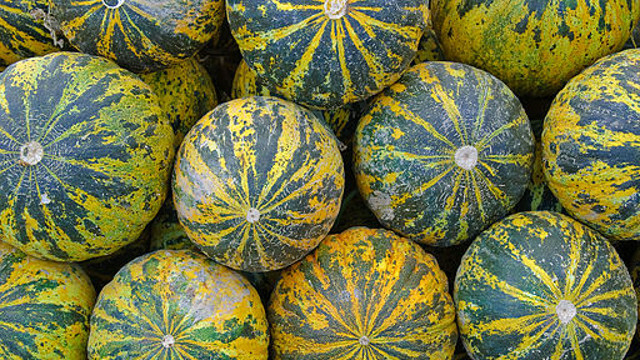 In all, the researchers found variations affecting 902 genes among seven melon varieties. They ascribed putative functions for 53 of the genes, including roles in disease resistance, cell-wall metabolism, and sugar metabolism. The researchers also found that wild melon varieties are the most genetically diverse. “This study reveals the high plasticity of the melon genome, and paves the way for future analyses to address melon breeding goals, such as increasing the quality of the fruit, or resistance against pests and diseases,” study coauthor Josep Casacuberta, a geneticist at the Center for Research in Agricultural Genomics in Barcelona, said in a statement. 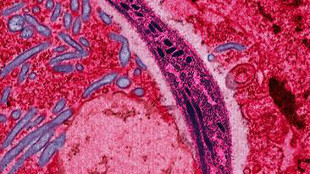 The parasite that causes malaria, Plasmodium falciparum, faces many selective pressures in areas where it is endemic. According to an analysis published in BMC Genomics last month (July 16), genetic variations have arisen between two strains separated by just around 200 miles. Researchers at the London School of Hygiene and Tropical Medicine, the University of Ghana, and the Wellcome Trust Sanger Institute sequenced the genomes of 85 clinical isolates of P. falciparum from central Ghana, where transmission occurs year-round, and from northern Ghana, where transmission is seasonal. Overall, they found similar levels of genome diversity between the two regions. However, the two populations displayed different patterns of variant selection for loci containing targets of antimalarial drugs. These include two antifolate drug target genes and one chloroquine target, GenomeWeb reported. One of New Zealand’s most notable natives, the kiwi bird, is now less mysterious thanks to researchers who sequenced its genome, which was published last month (July 23) in Genome Biology. The kiwi bird is unique among flightless birds because of its small size, large egg size, and nocturnal behavior. 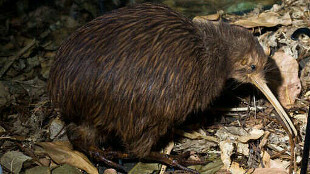 To understand the genetic bases for these qualities, the researchers probed the genome of the brown kiwi (Apteryx mantelli). They identified mutations in opsin genes, which provide color vision, as well as an increased diversity of oderant receptor genes compared to other birds, concluding that these genetic variations likely helped the kiwi bird adapt to a nocturnal lifestyle around 30 million to 38 million years ago. “It is . . . very likely that the kiwi lost its color vision since this was no longer needed for its new nocturnal lifestyle,” study coauthor Diana Le Duc, a geneticist at the University of Leipzig, Germany, said in a statement. “The kiwi’s sense of smell—which was required for foraging in the dark of the night—became more acute and the repertoire of odorant receptors increased adapting to a wider diversity of smells,” she added. The researchers also found that the kiwi bird is less genetically diverse than previously estimated, which could contribute to its risk of extinction. “The genome of the kiwi is an important resource for future comparative analyses with other extinct and living flightless birds,” study coauthor Janet Kelso, a computational biologist at the Max Planck Institute for Evolutionary Anthropology in Germany, said in a statement. Scientists at Rothamsted Research in the U.K. took it upon themselves to clean up and reassemble the genome of a fungus that causes head scab disease among small grain cereals. The resulting completed genome was published last month (July 22) in BMC Genomics. The researchers corrected errors in existing sequences and added new spans of code that they assembled using shotgun sequencing. In all, they identified 741 total genes, including three that may be involved in virulence. They also analyzed 69 genes that had been entered into a widely accessed pathogen-host interactions database, ascribing putative functions for each. 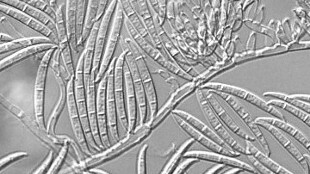 “The F. graminearum genome can now be comprehensively studied with the knowledge that a full set of gene models and surrounding genomic sequence can be probed in combination with non-coding RNA annotation to identify pathogenicity mechanisms,” the authors noted in their paper. The first complete analysis of an octopus genome could offer hints about why the cephalopods are so intelligent. The sequence, published last week (August 13) in Nature, reveals that the California two-spot octopus (Octopus bimaculoides) has such a large genome thanks to duplication of certain genes (rather than whole-genome duplication, as some suspected). “As we started to dig into the data, we were seeing more and more signs that there was no duplication,” study coauthor Caroline Albertin, a graduate student at the University of Chicago, told NPR. One group of frequently copied genes codes for protocadherin proteins, which are involved in nervous system development, Science News reported. 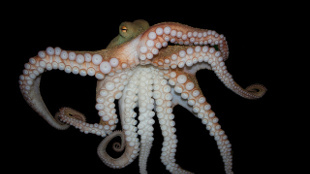 The researchers also found thousands of genes unique to cephalopods, including those that allow the animals to change color, as well as genes related to neuronal signaling localized in tentacle suckers. “Now that we have that toolbox, we can start to pick out different gene groups and figure out what they're actually doing in these bizarre animals,” Albertin told the The Washington Post.